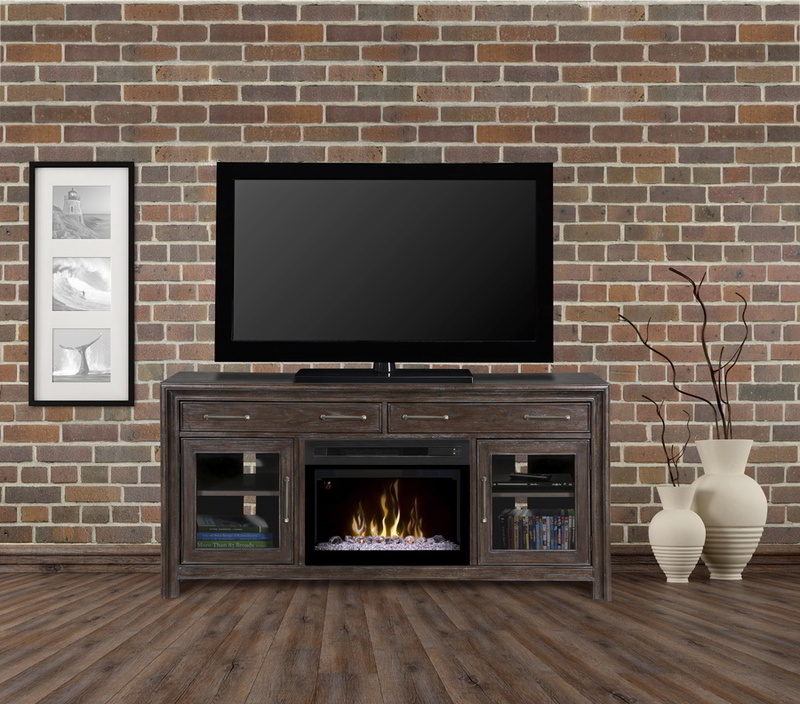 With its urban loft design the Woolbrook is a striking addition to any space. The straight arrow lines and picture frame surround are softened by the distressed nutmeg finish and accented with wire brushed grey highlights. This console boasts 2 felt lined drawers, beveled glass doors and one adjustable shelf on each side. The Dimplex® Multi-Fire XD® provides a dazzling focal point of realism and ambiance.